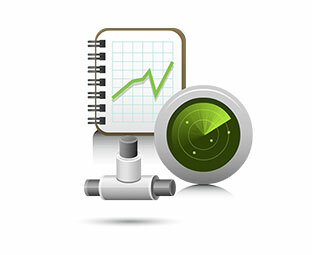 View real-time actionable data from your Rockwell Automation systems. 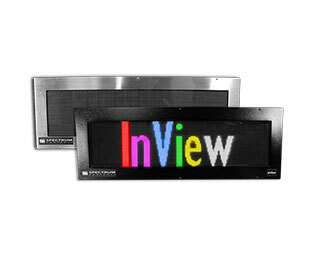 InView displays offer a vastly superior viewing angle than most LCD and LED displays. 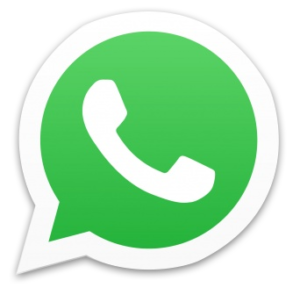 Messages can be triggered via programmable logic controllers and programmable automation controllers. Intuitive browser-based and OS-independent setup means there is no need for separate software. Remote I/O, DH-485, DH+, DeviceNet, and ControlNet (legacy deployment). 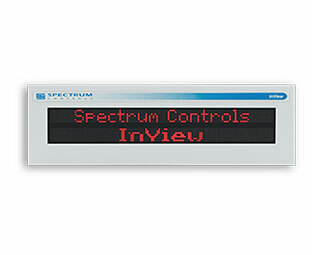 All InView displays come with TechConnect™ support from Rockwell Automation at no additional cost to you. Display up to five lines of text or a 9.9-inch single line, viewable from over 450 feet away so your message can be seen where it counts. The 10-inch industrial strength displays are available in full-color and require 120-240 VAC (50/60 Hz). 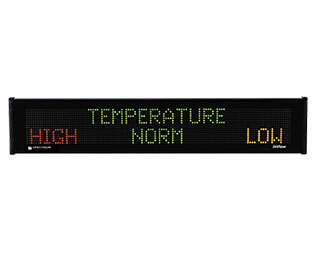 Display up to 4 lines of text or one 7.2-inch line, viewable from up to 350 feet away so your message can be seen where it counts. The P7 line is available in 36-inch or 60-inch wide displays, in tricolor. 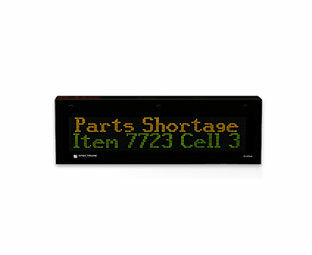 Display up to 2 lines of text or one 4.8-inch line, viewable from up to 200 feet away. The 4-inch line is available at 36-inches or 72-inches wide, in red or tricolor. Display two lines of text, and 20 characters per line viewable from up to 25′ away. With a display size of 12″ x 2″ and under two pounds, the P22R is our smallest display. Protect your investment with a browser-based and OS-independent communications module. With virtually every configuration just two-clicks away, our easy-to-use setup enables you to spend less time learning and more time doing. Easily add or edit messages using one of our many built-in features to create the information you want to see. Easy tag functionality eliminates the need for special PLC add-on instructions.